No guest is allowed backstage without the proper credential. Any person found backstage without proper credential is subject to ejection. Viejas Arena does not sell backstage passes, as they are supplied by the tour and cannot be purchased. The Viejas Arena box office is located next to Gate 2 on 55th Street, and can be accessed from Aztec Walk, across from Peterson Gym and Parking 7. Please visit our Parking & Directions page for directions. Refunds for cancelled events are available at the point-of-purchase when tickets are presented. In the case of a postponed event, the original ticket will be honored on the new event date, or a refund can be granted with the presentation of the purchased tickets at point-of-purchase. Children two (2) years and younger will be admitted free and must sit on a ticket holder’s lap. All children 3 years of age and older need a ticket to attend Aztec Basketball games. Visit the Athletics website for information on Aztec ticket promotions. For most events, Viejas holds a "babes in arms" policy – any child who is old enough to walk will need a ticket to attend. It is assumed that those children entering without a ticket will sit in an adult’s lap. For select events, every person (regardless of age) must have a ticket to attend. Please contact the Viejas Arena management office to inquire about a specific event. Tickets should always be purchased from an authorized ticket agent (i.e. the Viejas Arena box office, Ticketmaster, or the Athletics box office). Tickets purchased from anyone else could be counterfeit or stolen, and those that are will not be honored. Ticket brokers are not recognized ticketing agents of Viejas Arena. If you purchase lost or stolen tickets from a non-authorized agent, you risk being removed from the seats upon the presentation of a replacement ticket by the legal ticket holder. Please see the Paperless Ticket section. All guests with general admission floor tickets will enter the arena and receive a wristband at Gate 1. A wristband is required to enter the floor. The GA floor is standing room only, and is accessible to lower level restrooms and concession stands. Groupon promotions may be available for select events. Customers who purchase a Groupon promotion for an event will receive their tickets from Groupon in the form of a “G-Pass”. This “G-Pass” will be emailed to customers in the form of a PDF file. The customer MUST PRINT OUT their “G-Pass” and bring them directly to the gate to use for entry on show day. The “G-Pass” is not redeemable on the Groupon mobile app. If a customer attempts to use their “G-Pass” on the mobile app at the entry gate, that customer WILL NOT BE ALLOWED INTO THE EVENT. If a customer does not print their “G-Pass” before attending the event, the Ticket Office can reprint their “G-Pass” for a nominal ticket re-printing fee. Please be advised, the Ticket Office will only re-print “G-Passes” for the ORIGINAL GROUPON CUSTOMER. *Hours will be added to serve guests during events. *Closed most holidays (except on event days). Customers must call Ticketmaster Customer Service and replacement tickets will be issued. Those tickets can be picked up at Will Call no sooner than the date of the event at the Viejas Arena ticket office. Customers must know the date the tickets were purchased, the method of payment used, and all of the seating information – section, row, and seat information. Please see the Random Number Distribution section. Select concerts will have meet and greets with artists. Viejas Arena does not sell tickets for meet and greets – any tickets will be sold through VIP Nation or another agency. The Viejas Arena box office will be open for all on-sales. In the case of an on-sale occurring on a weekend, the box office will remain open until all customers in line are served, after which it will close. If the event goes on-sale during the week, the ticket office will remain open until the normal closing hour. Certain shows may choose to use a Paperless Ticket option as a form of guest tickets for an event. For more information on "Paperless Tickets/Credit Card Entry", visit the Ticketmaster Credit Card Entry Page. The box office accepts Visa, MasterCard and Discover Card for events at Viejas Arena and the Cal Coast Credit Union Open Air Theatre. 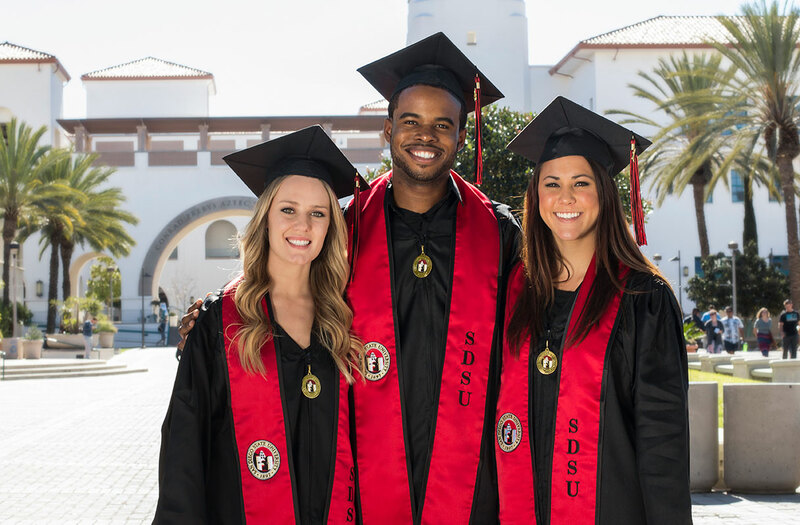 Checks will only be accepted from SDSU students, faculty and staff with a valid Red ID card, and can be used to pay for any service the box office provides. Cash will be accepted for any transaction at Viejas Arena and the Cal Coast Credit Union Open Air Theatre Box Offices. The Viejas Arena box office will not accept payment over the phone. Customers who purchase tickets through Ticketmaster can choose the "Print At Home" delivery option for their tickets. When customers choose this option, Ticketmaster emails the customer their tickets in a PDF file. The customer MUST PRINT OUT the tickets and then bring them directly to the gate to use for entry on show day. Each ticket will have a unique barcode. Once the barcode is scanned that ticket cannot be used again. "Print At Home" and Ticketmaster Mobile App Tickets ARE NOT THE SAME! "Print At Home" tickets brought up on a smart phone WILL NOT be accepted for entry at the gate. If a customer does not print their "Print At Home" tickets before attending the event, the Ticket Office can reprint their tickets for a nominal ticket re-printing fee. Please be advised, the Ticket Office will only re-print tickets for the ORIGINAL TICKETMASTER CUSTOMER. Tickets purchased from a third party broker cannot be re-printed. Customers can avoid the Ticketmaster service fee by coming to the Viejas Arena box office in person, but may be subject to a smaller service fee. For select shows, the Viejas Arena box office may use random numbers for an on-sale. Random numbers are used to ensure a fair distribution tickets. Please call the box office information line at (619) 594-6947 to find out if random numbers will be used for a specific on-sale. Customers will not be allowed to "camp out" in front of the box office prior to the on-sale, regardless of the type of distribution. Customers wishing to receive a random number will not be allowed to line up any earlier than two hours prior to on-sale. All customers in line one hour prior to the on-sale will receive a random number. Any customer that arrives after this point will be placed in another area separate from the customers who have been given a number. Approximately 10 minutes before the on-sale time, the starting number will be drawn. At that time, everyone will be placed in numerical order. Customers receiving a random number are not guaranteed a ticket – only a place in line. Customers without a number will be served after all of the numbered customers have been helped. Ticket distribution outside of the Viejas Arena box office at any time is strictly prohibited. Any person found to be distributing tickets – in exchange for money or simply giving tickets away – will be removed from the property and their tickets will be confiscated. It is never recommended to purchase tickets from any source other than Viejas Arena or Ticketmaster. Any ticket sold by a third-party vendor could be counterfeit. Fake tickets will not be honored at the Viejas Arena gates or box office. There may be different situations when a customer needs to have the Ticket Office re-print tickets to an event. The customer must arrange a re-print with Ticketmaster prior to event day at 1-800-653-800. Customer will need to have their Ticketmaster order number when calling. If a customer does not make arrangements with Ticketmaster prior to the event date, the Ticket Office will re-print a customer’s tickets for a nominal ticket re-printing fee. Please be advised, the Ticket Office will only re-print tickets for the ORIGINAL TICKETMASTER CUSTOMER. Tickets purchased from a third party broker cannot be re-printed. Customers can still purchase tickets through Ticketmaster online and over the phone the day of the event. However, they are usually taken off sale through these methods at 3pm that day. At that point, tickets can only be purchased at the Viejas Arena box office. All season tickets for Aztec basketball can be purchased through the Athletics box office. Please contact them at (619) 283-SDSU (7378) for further information. There are 20 sections in Viejas Arena – Sections A through V (with letters I and O omitted) – with 36 rows in each section. Sections progress in a counter-clockwise rotation. The number of seats varies between rows. Seat numbers start on the right, when facing the stage, and progress in a clockwise rotation. For seated floor events, the number of sections, rows and seats on the floor may vary. When purchasing tickets through Ticketmaster, customers are subject to a service fee added to the ticket price. Customers can avoid the Ticketmaster service fee by coming directly to the Viejas Arena box office for their ticket purchases. However, they may be subject to a smaller service fee. Typically, staff and security will not ask a guest to sit down if they are standing in front of their assigned seat. Their ticket gives the guest the right to stand or sit at their designated seat. However, each situation is handled on an individual basis. Standing on seats, rails or other structures is never permitted. Additionally, standing or dancing in the aisles is never permitted due to fire codes. Customers must have a police report stating tickets were stolen, and call Ticketmaster Customer Service at 1-800-653-800 to report stolen tickets. The customer service will arrange to have replacement tickets available to be picked up at the Viejas Arena Will Call no sooner than the date of the event. Customer must have a police report stating tickets were stolen, and must contact the Viejas Arena box office. Replacement tickets will be available to be picked up at the Viejas Arena Will Call no sooner than the event day. As a security measure, tickets are printed on thermal paper and may turn black if exposed to extreme heat – glove boxes, dashboards, etc. If this happens, contact the Viejas Arena box office. The promoter or artist’s management will typically impose a ticket limit in order to provide ticket access to as many fans as possible. Ticket limits vary depending on the type of event or the anticipated demand for tickets. The box office cannot accept Ticketmaster gift cards for payment on tickets for events at Viejas Arena. Customers who purchase tickets through Ticketmaster can choose to have their tickets sent to them via the Ticketmaster Mobile app. A customer will need to have a Ticketmaster account in order to utilize the Mobile Ticketing Option. Once a customer completes their purchase on Ticketmaster, the customer can use their smart phone to retrieve their tickets – each ticket will have a unique QR code that can scanned at the gate upon entry. Once the QR code is scanned that ticket cannot be used again. Mobile App tickets can be re-printed at the Ticket Office if the customer chooses. This must be arranged with Ticketmaster BEFORE SHOW DAY. If the customer decides to have their tickets re-printed but does not contact Ticketmaster before show day, the Ticket Office will charge the customer a nominal ticket re-printing fee. Please be advised, the Ticket Office will only re-print tickets for the ORIGINAL TICKETMASTER CUSTOMER. Tickets purchased from a third party broker cannot be re-printed. Customer must call Ticketmaster customer service at 1-800-653-800 to report their tickets were not received in the mail. The customer service will arrange to have replacement tickets available to be picked up at the Viejas Arena Will Call no sooner than the day of the event. There are no refunds, exchanges or upgrades once tickets are purchased. Ticketmaster will call is made available any time after 10 am for weekday events, and any time after 12 pm for weekend events. Will call for tickets that were lost, stolen or not received in the mail will be available after 4 pm on the day of the event. Ticketmaster will call requires a picture ID and the credit card originally used to purchase the tickets. All other will call (in-house orders, artist will call, promoter will call) is generally available 90 minutes prior to the show. A picture ID is required for pick-up.